The book refers to the story of Christ, with the interest focused on the final years of his life. Jesus, a humble carpenter, is chosen by God to accomplish the mission of human salvation. 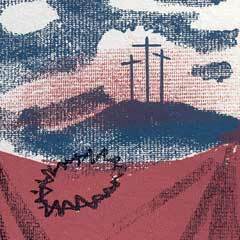 At first he steadfastly refuses to obey God’s will, but eventually complies. 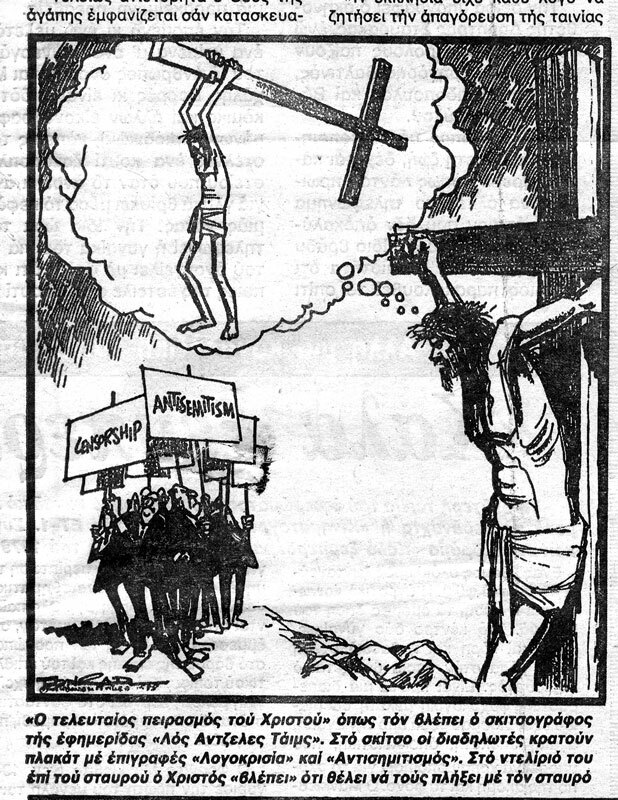 While crucified he has a vision of how his life would have been if God had not let him be sacrificed. Nikos Kazantzakis was born in Heraklion, Crete, when the island was still under Ottoman rule. He studied law in Athens (1902-06) before moving to Paris to pursue postgraduate studies in philosophy (1907-09) under Henri Bergson. It was at this time that he developed a strong interest in Nietzsche and seriously took to writing. After returning to Greece, he continued to travel extensively, often as a newspaper correspondent. He was appointed Director General of the Ministry of Social Welfare (1919) and Minister without Portfolio (1945), and served as a literary advisor to UNESCO (1946). Among other distinctions, he was president of the Hellenic Literary Society, received the International Peace Award in Vienna in 1956 and was nominated for the Nobel Prize in Literature. Kazantzakis regarded himself as a poet and in 1938 completed his magnum opus, The Odyssey: A Modern Sequel, divided into 24 rhapsodies and consisting of a monumental 33,333 verses. He distinguished himself as a playwright (The Prometheus Trilogy, Kapodistrias, Kouros, Nicephorus Phocas, Constantine Palaeologus, Christopher Columbus, etc), travel writer (Spain, Italy, Egypt, Sinai, Japan-China, England, Russia, Jerusalem and Cyprus) and thinker (The Saviours of God, Symposium). 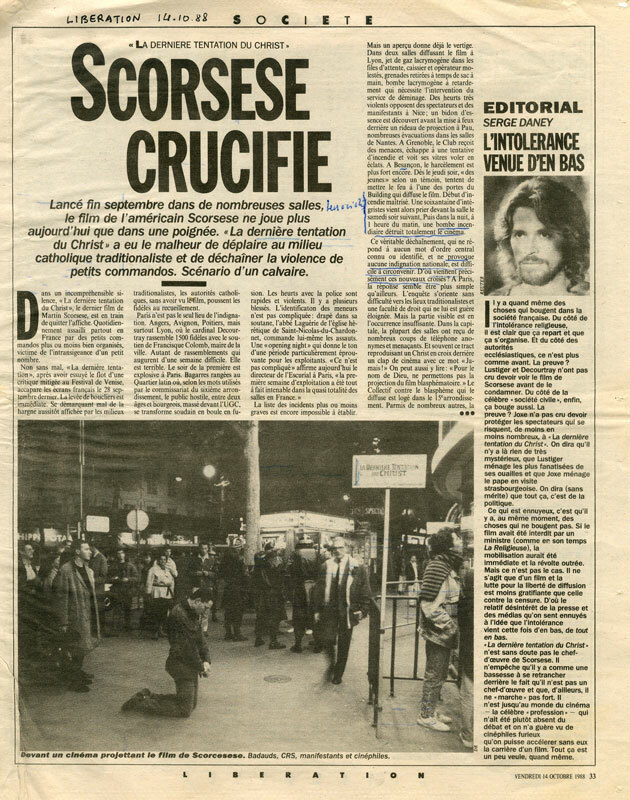 He is, of course, best known for his novels Zorba the Greek (1946), The Greek Passion (1948), Freedom or Death (1950), The Last Temptation of Christ (1951) and his semi-autobiographical Report to Greco (1961). His works have been translated and published in over 50 countries and have been adapted for the theatre, the cinema, radio and television. 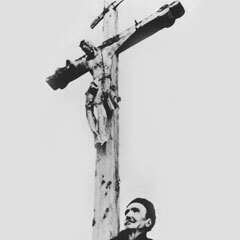 It is a fact that the dual nature of Christ remained an unfathomable mystery to Kazantzakis. He devoted two of his finest books to the figure of the Son of God - Christ Recrucified and The Last Temptation - as well as a canto in his collection of terza rima poems entitled Tertsines, and Christ, one of the tragedies in his theatrical oeuvre. 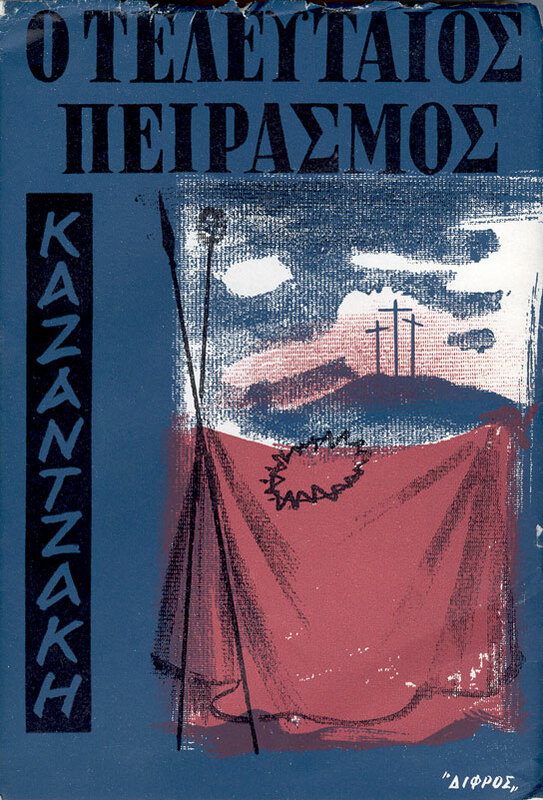 The Last Temptation was Kazantzakis’ most controversial novel, leading to charges of atheism; in 1954 it was placed on the papal Index of Forbidden Books. 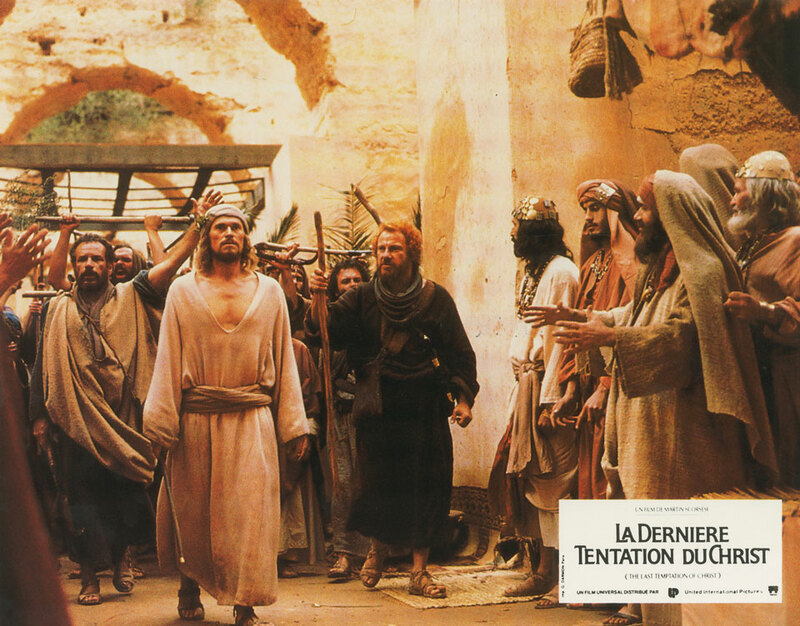 In 1988 it was adapted for the cinema (The Last Temptation of Christ) by director Martin Scorsese, with a soundtrack by Peter Gabriel. The European premiere in Venice provoked a furore, while religious fanatics in Greece trashed cinemas where the film was shown. Similar reactions were seen all over the world. 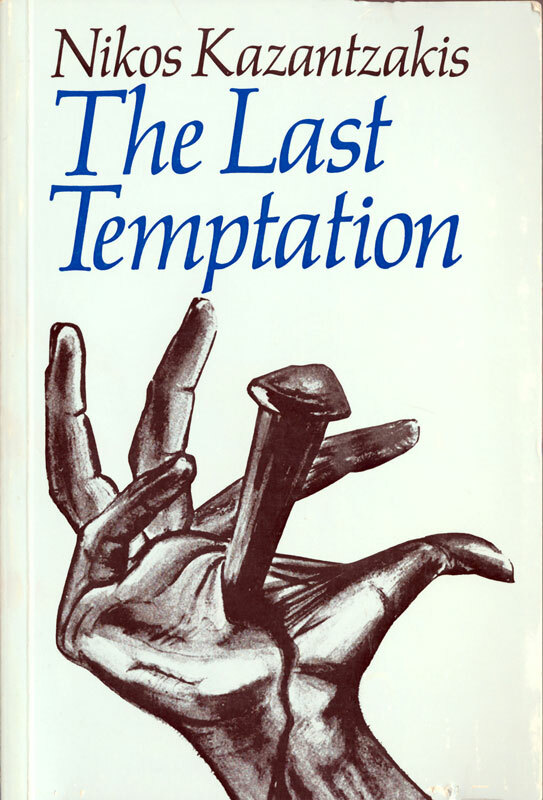 It is noteworthy that the Last Temptation blazes a new trail in the literary treatment of the gospel accounts; Kazantzakis’ paradigm was later followed by authors such as Robert Graves, Norman Mailer, José Saramango, Gérald Messadié, Éric-Emmanuel Schmidt, Anne Bernay and Eugene Whitworth, who present the story of Christ as narrated by himself or by Pontius Pilate, or link it to important myths of the Eastern Mediterranean and to Jewish political and dynastic struggles.